From Goodreads: When her father is killed in a coup, 15-year-old Laila flees from the war-torn middle east to a life of exile and anonymity in the U.S. Gradually she adjusts to a new school, new friends, and a new culture, but while Laila sees opportunity in her new life, her mother is focused on the past. She’s conspiring with CIA operatives and rebel factions to regain the throne their family lost. Laila can’t bear to stand still as an international crisis takes shape around her, but how can one girl stop a conflict that spans generations? Thoughts on the Novel: I haven’t had much time to read due to school ending and then deciding to take a course over the summer, but I did finish The Tyrant’s Daughter by J.C. Carleson recently. I didn’t know much about the book before beginning it, and only picked it up because of its cover and the fact that I wanted to see how a Caucasian, former CIA officer would deal with the subject matter. While I would have liked Laila to have been forthright about where she was from – all we know is that she’s from the Middle East, a region composed of many countries, each with their own customs and traditions – I understand why Carleson chose not to limit herself in such a way (as she explains in the back). Similarly, although I didn’t agree with all of Laila’s thoughts, her attempts to reconcile her old way of life with her new one were relatable. Overall, I think Carleson did a good job of portraying another culture’s way of thinking respectfully and showing how different American life can be to others. 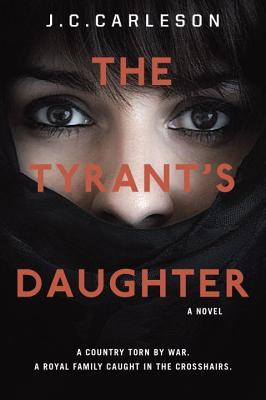 Inspired by real events, The Tyrant’s Daughter was released in February 2014 by Knopf Books for Young Readers. From Goodreads: Take caution ahead - Oversize plant life, eerie amphibious royalty, and fear-inducing creatures abound. Lest you enter with dread. Follow Jack and Jill as they enter startling new landscapes that may (or may not) be scary, bloody, terrifying, and altogether true. Step lively, dear reader ... Happily ever after isn’t cutting it anymore. Thoughts on the Novel: I love reading retellings because it’s always fun to see authors put their own twist on something familiar; and with its dark humour and some bloodshed (as a nod to the original Grimm tales), Adam Gidwitz’s In a Glass Grimmly is definitely one of the more memorable fairy tale retellings I’ve read. Gidwitz takes the stories of The Frog Prince, The Emperor’s New Clothes, and Jack and the Beanstalk among others and combines them into one over-arching story where Jack and Jill are the main characters. It wasn’t until I was done reading that I found out that In a Glass Grimmly was the second book in the A Tale Dark and Grimm series - perhaps I should have looked at the cover more carefully since it does say In a Glass Grimmly is a companion novel ... oops! - but now that I know there’s another book in the series, I’ll be sure to read it too. 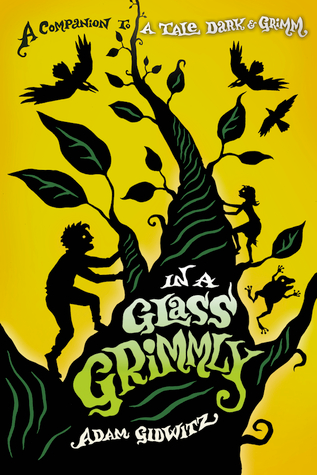 In a Glass Grimmly was released by Dutton Children’s Books in September 2012. Oh, I didn't know the author has a CIA background. I have this book and now that you've mentioned that tidbit, I'm even more curious about this book now. Something tells me I need to dig out my copy! It really bothered me that the author didn't come out and say which country the main character is from. While I can see how limiting that can be, it doesn't help to lump all of the countries of the Middle East. Each, as you said, have their own customs and cultures. Not sure about picking this one up. As for the Grimly one, it does sound fun. I'll add it to the tbr. I've heard of both of these, but I have not read any of them. I wish you'd gotten more of the MC's background in The Tyrant's Daughter even if the author gives a good reason. Glad the second was a good one though! It seems fun.